Have you ever had to have a conference call, but not been in the office? Had to have a group call with potential clients halfway across the country? One of the benefits of a hosted VoIP service is that it makes it far easier for businesses to collaborate across different locations. All without needing any technical knowledge when setting it all up. A big positive with a hosted VoIP service is the ability to easily create conference bridges in order to hold virtual voice and video meetings with colleagues. Voice conferences are fully customisable too, so it's possible to add and change on-hold audio to perfectly reflect your organisation. The possibility to define permissions and add security PINs makes for a versatile, secure, meeting place both for team discussions and for remote client meetings. We've all had the experience of swapping emails with colleagues, only to pick up the phone for easier communication. Voice is far quicker communication solution than email, and it can be far easier to have a conversation with a team member or explain something over the phone, than using multiple time consuming email exchanges. Hosted VoIP is a really active driver of the Bring Your Own Device or BYOD trend as it's otherwise known. This is the process of bringing in your own laptop or tablet on which to work on, or in the case of a phone, to do business on. Due to its versatility, hosted VoIP ensures employees can use the phone or tablet they're most comfortable with within the office or at home. Giving employees this choice ensures that they will be more engaged in the technology they use, and potentially much happier too! This is a solution that's not only limited to offices and homes, but can be utilised in colleges or universities to help with group collaboration. Due to its adaptability, VoIP services empower remote and home workers. Whether someone is working from home or from another office, they can still be part of the same office phone network. Incoming calls to the office, can be received by an employee's VoIP phone or if preferred their softphone at home too. Similarly, they can dial out from home as if they were in the office. With Video Calling and Conferencing, it's also easy to ensure remote workers feel like they are in the same office too. So in terms of team collaboration, a VoIP solution provides a seamless way to be in the office even when you're not. With the line blurring between employees in the office and those working away from it, your organisation can enjoy a more seamless, collaborative working enviroment. Top of the line VoIP providers will enable free calls between users on the same account. For a business owner, this means that call costs between teams are greatly reduced. With no extra costs, you can safely encourage calls between team members, whether they are in the same or remote offices. VoIP phone systems offer instant setup and adaptability for whatever situation your business finds itself in. 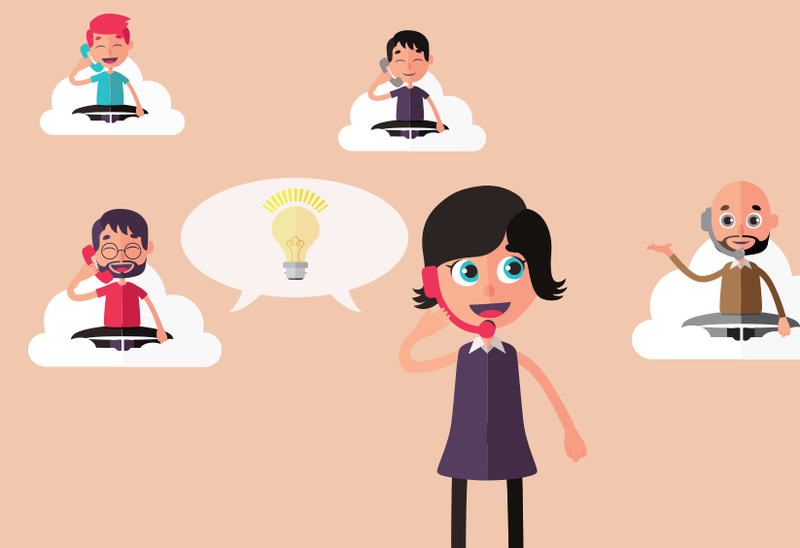 With numerous other features such as call monitoring also providing increased team-working capabilities, hosted VoIP is a practical and efficient helper that makes team collaboration a cinch!